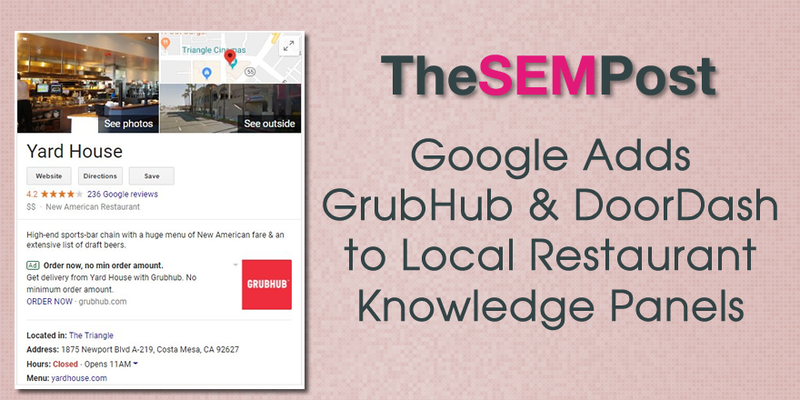 New ads appearing on Google local knowledge panels are driving orders away from the restaurant direct and instead are directing traffic through extremely prominent ads on the knowledge panel for each business to third party services for food deliveries which require these restaurants to pay a commission for any of the orders placed through the ad instead of the site directly. Thibault Adda spotted the test. 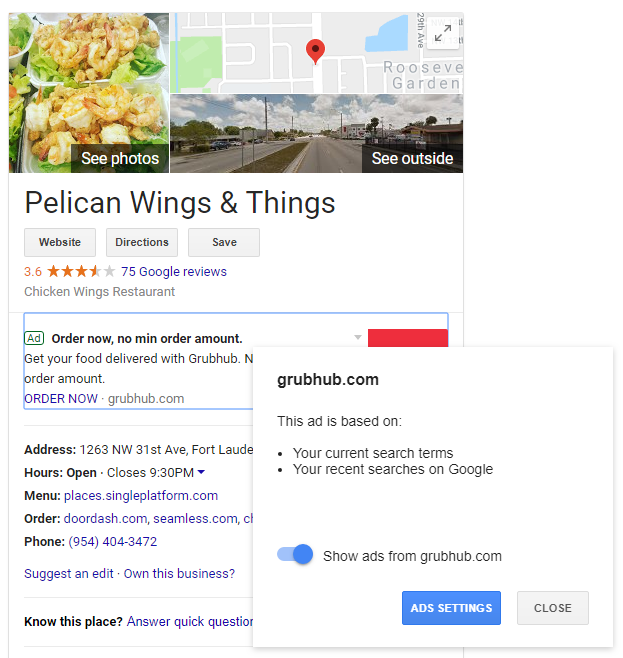 Clicking on the ad takes the searcher to the GrubHub landing page for the specific restaurant. 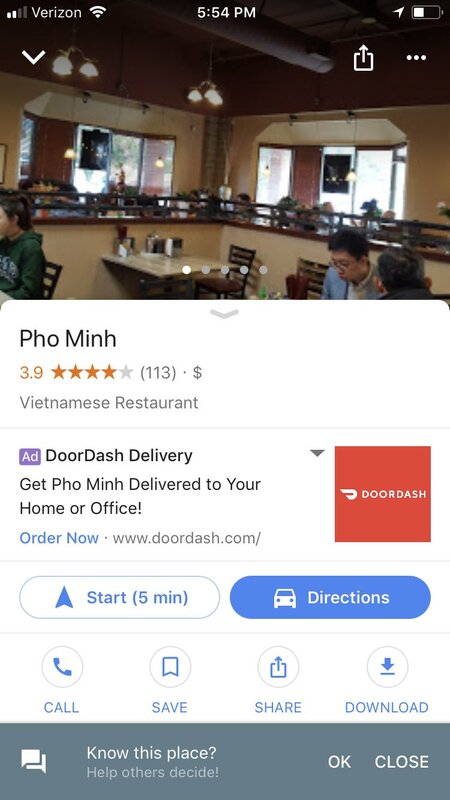 DoorDash is also doing these ads, here is an example Adda also spotted from the Google Maps link for the same business. 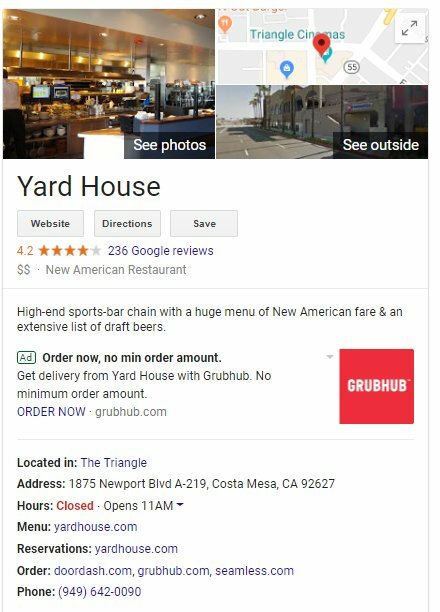 The ad is specifically targeted to the restaurant that is showing up in the knowledge graph, so it isn’t a generic “order from any restaurant” ad. 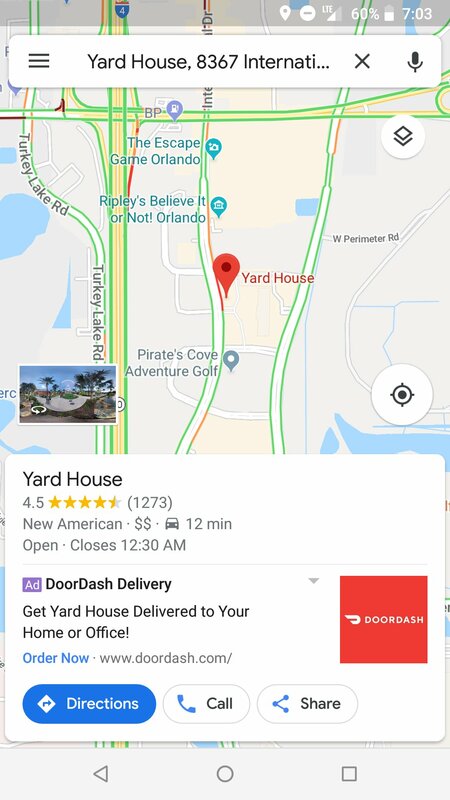 The text includes “Get delivery from <restaurant>…” So it isn’t driving traffic specifically away from the restaurant, outside of some choosing to order via Grubhub than visiting the restaurant in person. But there are some other huge implications that can end up costing restaurants a lot of revenue due to this ad placement. But as Tim Capper points out, restaurants pay GrubHub a commission for all orders placed via GrubHub. The same for DoorDashSo this ad is costing restaurants extra for take out, when a searcher might have simply ordered directly otherwise. Capper also mentions that a pizza place ended up with 90% of their orders over two days were commission based due to the ad. Especially for smaller businesses, this can be a huge cost to absorb, through no fault of their own. For restaurants who have this ad showing up in their knowledge panel, there does not seem to be a way for the business to turn it off or disable it. Here is another example that shows the ad settings for the ad, so individual searchers can turn off ads from these specific partners, but that does not help the businesses. There is a thread on the Google My Business help forums about these ads, but no one from Google has responded to it.